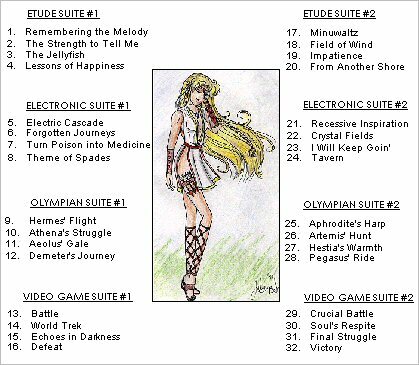 My MIDI Home is dedicated first and foremost to my original MIDI compositions and secondly to share the music that has inspired me for so long - video game music! Second, I upkeep a concise link page for relevant MIDI sites and useful web-authoring resources. Why? I believe having several contacts and resources is very beneficial. And it's great to see others' work as well! Third, I am here to help. After all, I one day wish to be a teacher! I have placed online my "MIDI information for Beginners" tutorial to aid those with MIDI questions so that they can do what I do. Additionally, I am happy to answer any web-authoring questions you might have. 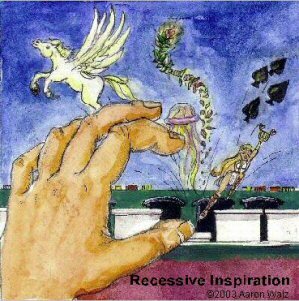 I adore music and MIDI composition, so my site should always be filled with new inspiration. My goal is to share my music and the music that inspires me with all who are interested, hopefully to inspire others with my musical world. Music is all about communication of feelings; this site is my "emotio"phone. Long time no talk! I updated the video game MIDI page with more composer names and MIDI's from Sega's Super Hang-On! Stay in touch and keep those requests coming! Also check out our new forum on www.walzmusic.com/forum . How fast does a year and a half go by!? Very. I've decided to re-open this site, since I have left my day job and now have time for such things. This means more video game MIDI's are on the way... please also note my main site will remain www.walzmusic.com . But for free stuff... this is the place. Make sure to drop me a line and tell me how excited you are about this! I sure am! 32 Tracks, synthesized, custom sounds, excellent quality & individually mixed! - Please contact me at aaron@midishack.net for ordering, questions, or more samples! Questions? Comments? Exclamations? Feel free to e-mail me for any productive or constructive reason! Please check my MIDI FAQ first if you have technical questions or want permission to use my work. Thanks! Because I'm no longer at SSU, my guestbook is now an archive. Please take a look at the awesome comments!